Join the Literacy Lab Preschool and the Family Literacy Program! 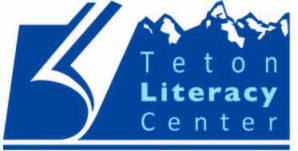 Teton Literacy Center’s preschool program, Literacy Lab, is currently accepting applications for incoming Kindergarteners. The Literacy Lab is a program for children ages 4-5 years old who will be entering kindergarten in the fall of 2019 and do not have access to a preschool program. Students attend school 2 mornings a week from 7:45-12:45 through the end of May 2019. Literacy Lab is a part of the Family Literacy Program which works with children and parents to reach their academic and family goals. Children attend preschool classes and parents have the opportunity to receive English support or parent education support. Parents are also involved in parent education and parent and child together time activities integrated together creating a unique and comprehensive family literacy program with a powerful impact.